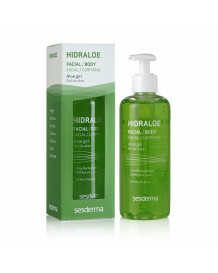 Sesderma's Hidraloe is formulated with 100 % pure organic farming aloe vera. Its artisanal extraction method ensures its purity and medicinal properties. These products moisturise, cool, soothe, soften and protect the skin. They are suitable for all skin types, even sensitive skins.